So you’ve decided to install timber flooring in your new home or perhaps are bringing back to life your existing…which is fantastic. 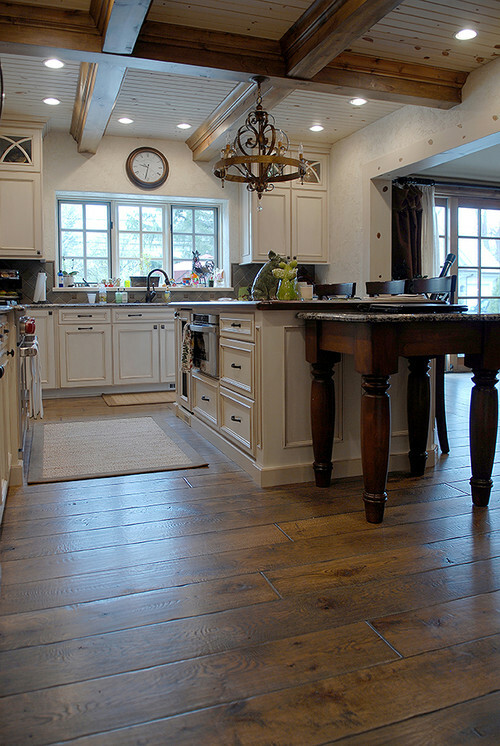 Timber is a wonderful product and when laid as a timber floor it feels and looks great. Polished timber floors has a natural richness and beauty which will ad value to your home or property. • Easy to clean – Unlike carpet timber floors do not stain. Attract allergen’s or dust mites, or retain odours. • Eco friendly when recycled timber is used. The complete project of laying, sanding & polishing floorboards can be tricky and costly if you make mistakes. Freedom Flooring has years of experience sanding floors in Newcastle and we following a tight process to ensure we produce a high quality polished timber flooring. Our techniques and processes are explained in this step by step series with attached video from Hire Tech Australia, leading sanding equipment supplier. Knowing the size of the room or total floor area is important. Simply split out the total flooring area into separate rooms, then multiply the width and the length. Add the together to get your total floor space in square metres. For instance a room size of 4m wide x 3.6m long would equal 14.4m2. This would require one 4 litre can. We take safety seriously with every project. Taking short cuts can lead to accidents or errors. • Always follow safety instructions carefully. • Wear dust masks, safety glasses and ear plugs. • Un plug sanding equipment when not in use and when changing out sanding belts. • Keep machinery away from children and un trained personnel. • When sanding, keep all power leads out of the path of sanding equipment. • After sanding, store all saw dust away from the property as its extremely combustible. • During the coating process, always ensure the rooms are well ventilated. To have a professional looking timber floor, its vital the correct tools and machinery are used in the correct procedures. Trying to sand and polish floor boards without the proper equipment can lead to poor finished or even destroying sections. Preparation is key to achieving a high end finished product. Taking shortcuts here will result in a poor finish and most likely will require the entire process be redone. • Remove all existing carpet or floor coverings. • Carefully remove all edge staples and tacks, trying not to lever down too hard on the timber floor boards. • Ensure the floor is free from wax, grease, silicons, oils and glues as these will clog up the sanding belts / paper and may cause imperfections in the coating. • Punch all nails 3mm below the surface of the timber, but do not putty until later on. Before you begin sanding, it worth taking the time now to make sure everything is in order, and you have the right equipment. • Now is the time to replace any boards that are damaged, spongy or warped. • Go back through the equipment list to ensure you have everything required to finish the task. • If your doing this yourself (we highly recommend calling in the professionals,) make sure you are familiar with the belt sander and understand how to operate it. • If required, cover all surfaces, furniture and other belongings. • Begin sanding in a low visibility area. • It’s not necessary to remove skirting boards. Just be very careful when sanding next to them. • Stains may not be removed when sanding, and badly stained boards should be replaced. • Some dark stains may leave a two toned effect on the finished boards. • Do not leave out any of the sanding stages or sanding papers. Each stage and paper grit serves a progressive purpose If unsure we recommend using timber floor professionals. The final appearance of your floor is greatly dependant on the evenness and smoothness once the sanding process is done. So take great care with this. • Never start or stop the machine whilst the sanding belt is in contact with the floor. • Always tilt the machine back on its rollers when starting, turning off, turning around or stopping at the end of a run. • Change sandpaper regularly. Clogged or worn sand belts can lead to burn marks on the timber. Depending on your floor condition you may need to start with a 24 grit paper. • Start sanding at 45* to the grain of the timber. • Sand the room in both directions holding 45* to the grain. • Once the room has been completely sanded in both directions, start sanding with the grain. • Always sand the floor in longest possible lengths. Once the entire room has been belt sanded with the grain, start to use the edging sander in a semi circular motion. • Sand the boards with a 40 grit paper. • Once edge sanding has been completed with 40 grit paper, change the belt sander over to 60 grit and further sand the entire room with the grain. • Complete the edge sanding again, this time with 60 grit paper. It’s a good time now to vacuum the floors thoroughly. Minimising dust will ensure zero imperfections when coating. • Change over the belt sander to 120 grit paper. • Finish off with the orbital sander using 120 -150 grit paper. This is a very crucial stage as all sanding marks are removed and the edge sanding is blended in. Vacuum floor again thoroughly, and wipe down all places where dust can settle. • Ensure floors are clean using a lint free cloth. • Coatings are applied best when all surfaces are at the same optimal temperature. • Always clean brushes and rollers to remove loose fibres which could end up in your finish. • Don’t go over the same area too much as this could create air bubbles. • Good ventilation and humidity are critical to the curing process of the coating. • Coats applied to thick can cause curing problems. The optimal temperature for application, drying and curing is in the range between 15*C – 30*C and 40%-75% humidity. • Begin applying the coating on the edges and hard to reach areas with a small brush. • Apply the first coat of the finish with a roller working away from one edge of the room. • Apply the finish in the direction of the grain and working the entire length. • Apply each coat ensuring they’re not too thin or too thick, as this gives the best results and allow the coat to dry and cure properly. • Avoid going over the same area too much. • Always work towards the room exit. • When the floor coating is dry, lightly sand with the orbital sander between coats. • Apply the second and third coat in the same manner as the first. • For a Satin finish, apply the first two coats with a gloss and then only the third with a Satin. After 24 hours after finish coating, the timber floors should be right for light foot traffic.No shoes…Socks only. Wait until a week later before walking with street shoes and using cleaning products. And that is our process. You can watch the video Hire Tech Australia Have presented for a full run down of the Floor Sanding Process. Sanding and coating timber floors can be tricky at best for the un trained. Freedom Flooring can provide you with expertise and information on your next timber flooring project. With many different colour options available, let’s look at the pros and cons of dark hardwood flooring Vs light hardwood floors. Whilst there are many advantages for having a specific type of colour (which we will touch on further into this article), there really is no one specific colour that’s suits all. It really does come down to your own personal choice or preference. Most likely the choice of timber floor colour will depend upon your furniture choices; however it’s important to remember there will be people who have similar colour tastes as some that don’t. What is your home and décor style? Are your room sizes large or small? How much light enters into the rooms? What are your wall colours or preferences? How often do you clean your floors? What do you like and don’t like? Other considerations to be made are new trends in timber floor board sizes. The new trends are seeing wider, longer boards. Carlisle Wide Plank Floors makes mention that “The design trends today is to minimise the number of joins on the floor, which is only accomplished using wider, ,longer floor boards”. When considering your colour choice, make sure to determine how it would look in the latest trends of wider, longer boards. At this stage you may already have a particular type of colour in mind…light or dark. There are many pros and cons to both, and it’s important to consider them all. Which shows up scratches more – Light or Dark? Without proper care both light & dark flooring will scratch, however it is more common for dark hardwood flooring to show scratches more. Where dark colours are present, they’re usually given that appearance through the use of timber stains. When scratches occur, the underlying natural timber colour shows through and contrasts the darker top level stain. When planning for a timber floor refurbish it’s important to make note of the high traffic areas and conclude how that may have an effect on wear & tear as well as unsightly scratches. Pets in the house will almost certainly scratch a polished hardwood timber floor, so keep this in mind when deciding between light or dark colours. What shades of colours are best suited to pets – particularly dogs? Dogs typically like to claw into the ground surface for grip. If you have family pets in the house, consider light coloured flooring, otherwise you may need to negotiate with your hardwood timber floor installer to apply additional layers of the clear polyurethane top coating. The cost of the project will depend upon numerous circumstances; however there are two factors to consider when comparing prices against dark or light colours. 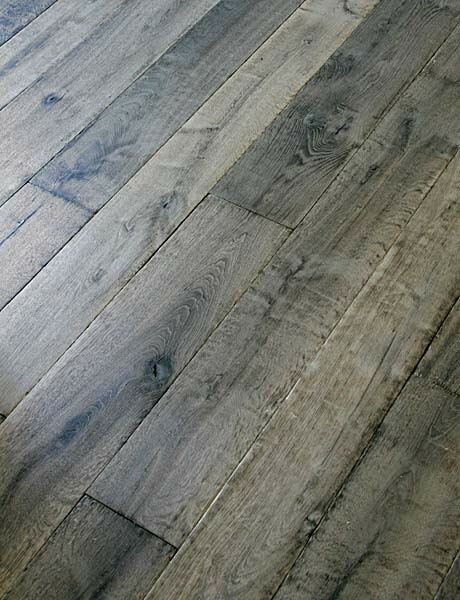 Pre-finished hardwood floors (commonly called engineered flooring) will have similar costs between light or dark colours though they’re may be a slight difference between brands. Raw timber hardwood species prices vary across the range. In most cases natural light coloured timber species are less expensive than their darker counterparts. Typically the requirement of colour stain increases the value. Other options include white-wash or grey stains. These will have a profound effect in the increase in price. In 2017 dark floors are in trend. They’re more stylish and can hide minor imperfections. White décor is very popular amongst interior designers, and the darker hardwood floors compliment them brilliantly to provide a fresh and open feel to any space. Still having seconds thoughts on colour choice for your next flooring project? Visit our official timber flooring website http://www.freedomflooring.com.au for more information.